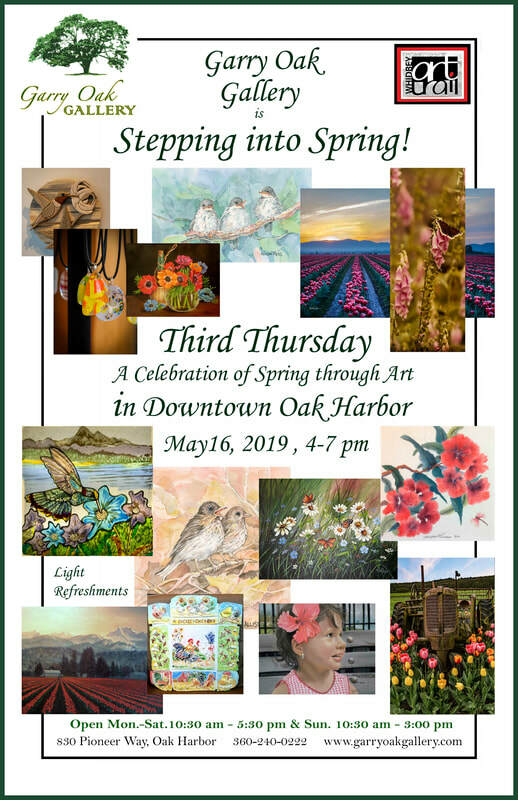 Garry Oak Gallery will be open late for “Third Thursday in Downtown Oak Harbor”! Our artists will have new work that reflects and is inspired by our glorious Spring here on Whidbey Island. Other Oak Harbor merchants will also be open late, and we will have light refreshments. Spend your spring evening shopping and browsing in our up-and-coming downtown area on Pioneer Way. Garry Oak Gallery offers a selection of inspired local art by over 20 artists, all Whidbey Island residents.